The debate will rage on for years as these two players meet head to head, but I'm not here to pick sides in the "Best Player in the NHL" argument. Connor McDavid and Sidney Crosby is legitimately the new Gretzky and Lemieux battle right down to representing the same teams that two now-retired superstars once did. There is no doubt that McDavid's brilliance has been on display in recent years as he amasses annual hardware just like Gretzky did, but Crosby, like Lemieux, is still a threat to the Oilers star when it comes to hardware. 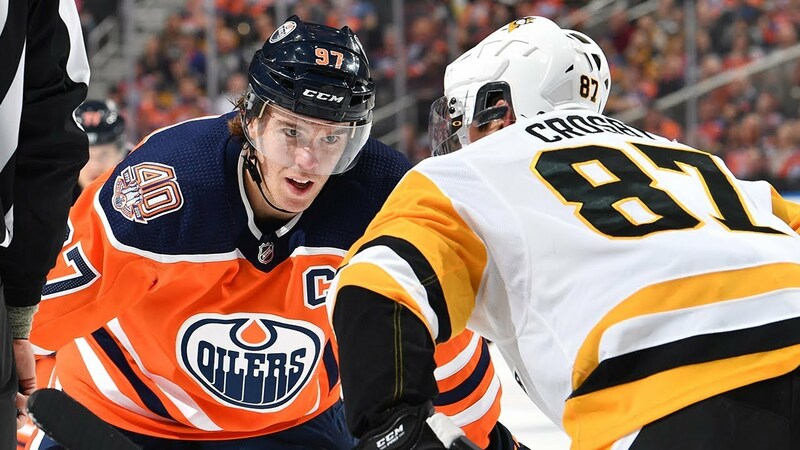 Tonight, the two men - McDavid and Crosby - went head-to-head as the Penguins visited the Oilers, and it was a showcase for some outstanding hockey. The key in this game, however, was that Crosby saved the best for last. In the overtime period with the two teams tied 5-5, Sidney Crosby went off and did this. That's just ridiculous. Yes, Ryan Strome was near the end of his shift in the three-on-three overtime period, but Strome can't let Crosby breeze by him like he did. Darnell Nurse's stick had no effect on Crosby as he had Cam Talbot at his mercy, and the backhander ended this game with authority as Crosby reminded everyone that he should still be in the discussion when it comes to "Best Player in the NHL". Make no mistake that there will likely be more McDavid and Crosby highlights to come this season. Both players are in the upper echelon of gifted players, and both love to have the puck on their sticks when the game is on the line. Nothing is better for hockey when these two players stare one another down and try to one-up each other. Hockey is so much fun when the best players show up to play! Dateline's Keith Morrison: Hockey Fan? Arizona: Home Of The Blues?